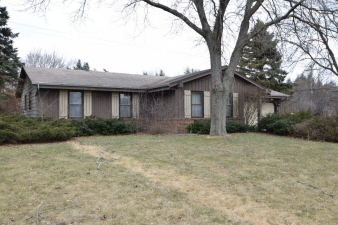 Bring your ideas to this three bedroom Brown Deer Ranch style home. Kitchen has sliding doors to open patio. Large family room has fireplace. Great floor plan for your creative ideas! Full basement. Two car attached garage. A tear-off roof replacement will take place prior to closing.